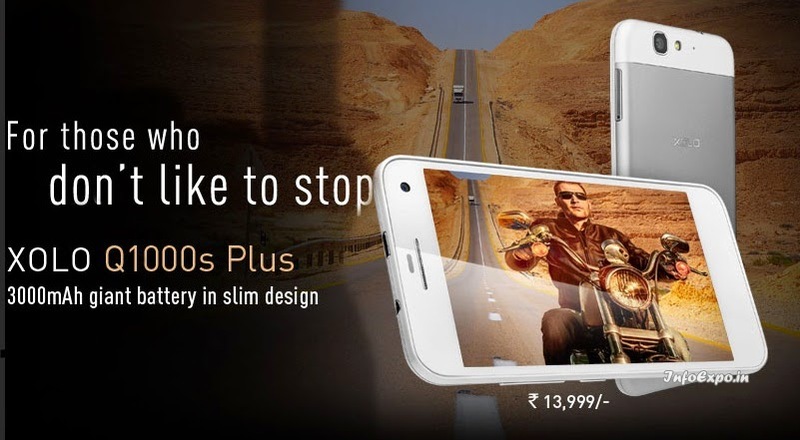 Xolo Q1000s Plus comes with 5 inch full HD IPS display and is powered by 1.5GHz Quad-core MediaTek processor along with 2 GB RAM. Q1000s Plus is available for Rs.12099 and is loaded with a powerful 3000mAh battery. It comes with Android Jellybean OS.